Back east in Portland, Maine, Vivian Sinclair made a bad choice that follows her to Cripple Creek, Colorado, where her sisters have found husbands and made a home. The shame she carries with her is powerful and she struggles to accept forgiveness from the Lord. Vivian sees limited choices for her future...and marriage isn't one of them. When most employers find Vivian unworthy as well, she is forced to accept a hostess job at a prestigious sporting parlor. Her decision appears to work out well until an outlaw shows up, violence breaks out and a death occurs. Vivian could be next, so she flees into the night only to be captured by the dangerous outlaw. Will the sheriff's deputy find Vivian? When he discovers her true identity, will he be able to forgive her secrets and lies? At last, the sisters are reunited! The youngest Sinclair, the family "baby", is moving from Maine to Cripple Creek, Colorado and joining Kat, Nell, and Ida. But Vivian is a young woman with a will of her own, and she made some decisions back in Portland that have begun to haunt her. Will she be able to live up to the expectations of her three perfect and now happily settled sisters? 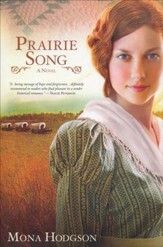 The sisters warmly welcome Vivian to the mountain west, but the wild-and-woolly mining town isnt ripe with opportunities for a respectable young woman. The youngest Sinclair sister is determined to make her own way, so when shes offered a job as a hostess in a sporting house, she takes it, thinking the position is appropriate for a tainted, unlovable woman like herself. Although shes convinced shell never be asked to entertain privately, Vivian keeps her employment a secret from her sisters, knowing theyd be mortifiedas will Carter Alwyn, the kind and godly sheriff s deputy whos sweet on her. Vivian is descending into a life of secrets, lying to the very people who love her and could help her heal from her mistakes. Will an outpouring of grace remind her that she is still Gods beloved and that her past can be washed as clean as Rocky Mountain snow? 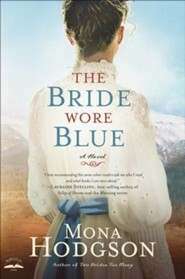 Mona Hodgson is the author of Two Brides Too Many, Too Rich for a Bride, and Beyond a Bride. 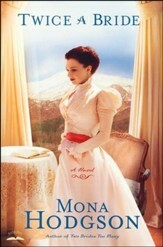 Monas writing credits also include nearly thirty childrens books, contributions to eleven books for adults, and hundreds of short stories, articles, and poems and she is an active speaker. She lives in Arizona with her husband, Bob. 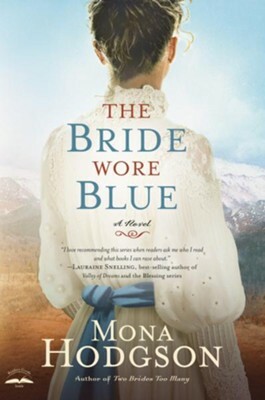 I'm the author/artist and I want to review The Bride Wore Blue: A Novel - eBook.